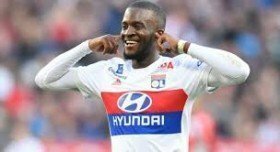 The 21-year-old has made immense progress with Les Gones over the past 18 months and his progress has caught the eye of top European clubs including United's arch-rivals Manchester City. According to Le10Sport, the Red Devils have made initial contact with the representative of the midfield enforcer as they seek to beat the Citizens to the Frenchman's services in the summer. Nonetheless, the midfielder won't come on the cheap with Les Gones prepared to demand as much as £70m for the player, who cost them just £7m from Amiens last year. While Ndombele is a holding midfield by trade, he has equally shown his ability to play in an advanced position during his 18-month spell with Lyon - where he spent the first year on a temporary agreement. Any potential midfield signing may create doubts regarding the futures of Fred and Andreas Pereira - both of whom have failed to claim regular gametime through the current campaign.